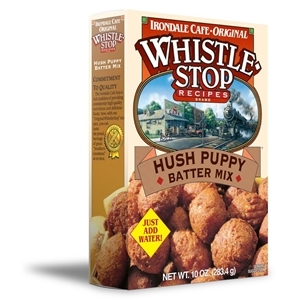 The Whistle Stop Recipes Hush Puppy Batter mix makes awesome hush puppies. For an added treat to suit your personal taste, mix a couple tablespoons of diced onions, diced jalapenos, or corn. Or, add a little of all three.